The key to the Freedom's cost competitiveness, performance, and state-of-the-art quality is our exclusive advanced manufacturing technology. Utilizing extreme robotic automation, our Freedom line matches the cost-effectiveness of imported desks but delivers the same 10-year warranty and precision manufacturing you’ve come to expect from all our American-made products. An incredible array of optional desktop shapes, sizes and colors continues in the tradition of iMovR's "Dell-like" mass customization production process. Combined, you can choose from over 3,400 combinations of base style and color, and desktop style, dimension, thickness, and color. 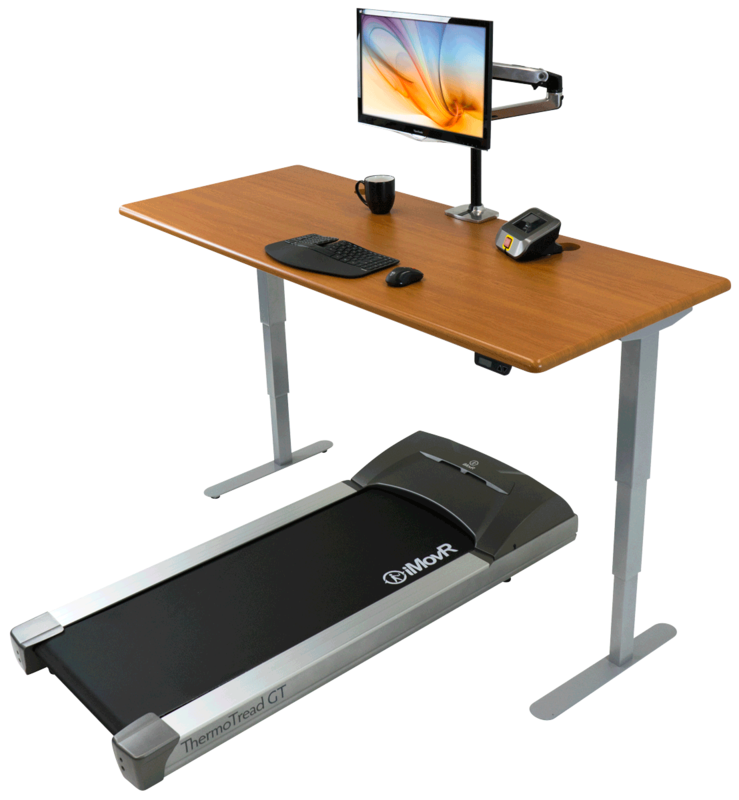 The Freedom Energize Stand Up Desk features our classic, 3D-laminated flat-surfaced desktop. The Freedom Cascade Stand Up Desk adds our built-in SteadyType keyboard tray, for optimal typing comfort and performance during the work day. Both the Freedom Energize and Cascade Desks also come in a wide variety of corner configurations, as well as compact versions with a 24” depth instead of the standard 30”. We even offer optional factory pre-assembly and testing, delivering the desk ready to plug-in and go. And for the vertically endowed, add 6" Leg Extenders! Combine with the Freedom XT Base and you'll reach a maximum height of 54". 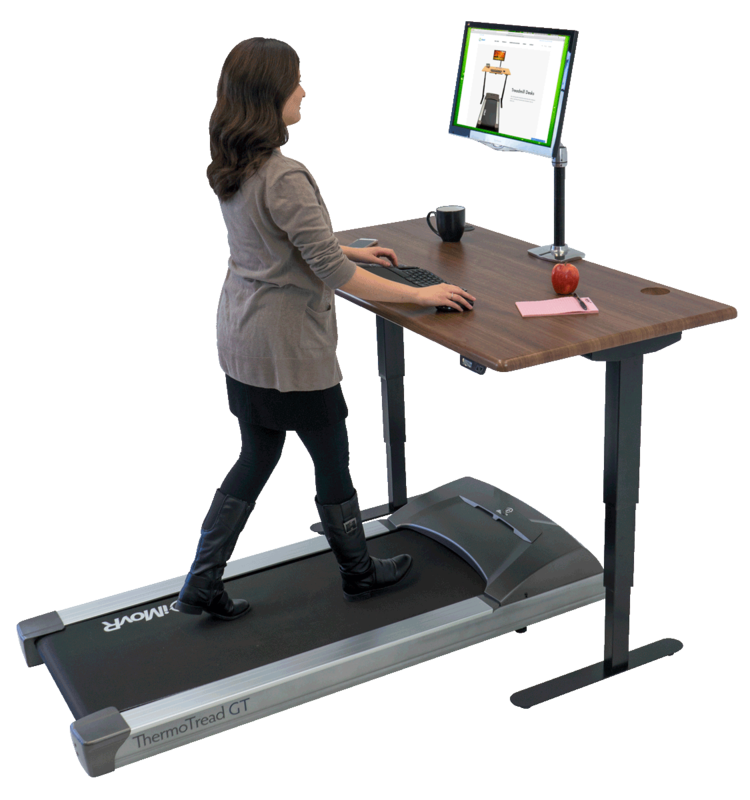 The desk leg extenders allow even taller users to enjoy the Freedom as a treadmill desk with the ThermoTread GT Office Treadmill. For DIYers interested in making their own height-adjustable desk, we’ve got you covered with the Freedom Standalone Base. See the Freedom Base featured in WorkWhileWalking’s review of the best standing desk bases.